To land the job you want and stand out from others applying, you must possess a strong, well-put-together resume. Since your resume says a lot about you, and since it’s often the first thing future employers see, it’s important to make sure your resume leaves a positive impression on those who view it. Our legal resume templates can help you craft a resume that tells your professional story in an easy-to-read, visually appealing way. We offer many different resume templates in a variety of styles, so you can ensure your resume matches your personal style from the very start. This way, you can focus on inputting the information most relevant to the open position. 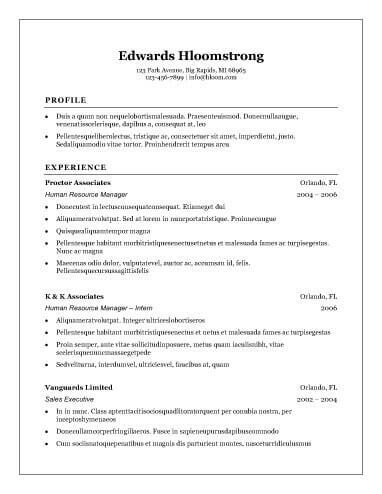 Why Use Legal Resume Templates? Why should you use one of our legal resume templates? After all, shouldn’t employers simply look through your resume and be able to tell who you are and what you can do? The main reason is because recruiters only spend an average of six seconds looking at a resume. If you want to make it past that original glance, your resume has to make the cut. Our resume templates include all the formatting intricacies needed to set your resume apart from the rest. If you aren’t quite certain which type of resume style to go with, one of our popular resume templates may do the trick for your job hunt. Take a look at our library of best templates to view different styles and formats until you find a design you like. You’re new to the legal field and you need a resume template that will showcase your skills and ensure your status as an up and coming frontrunner in your field. Try out one of our entry-level legal resume templates, and use the white space to emphasize your skills rather than your lack of work history. The legal field is a traditional industry, so an accompanying resume can benefit from a classic format. Our classic legal resume templates have universal appeal. Plus, they are quick and easy to read and to make. Today, many modern law firms that deal with contemporary issues want to see that you have the personality and credentials to match. Our resume will showcase your skills with a modern twist that ensures your resume stands out from the crowd. However, they still include all the necessary information every resume needs to possess. Many new trends, such as the use of social media, have reshaped the legal industry as we know it. Showcase your skills while portraying to potential employers that you stay on top of ever-changing standards in your industry with one of our contemporary legal resume templates. When it comes to your resume, the small details matter. Make sure the content you use in your resume matches the overall design. Our legal resume templates have spaces for all the information you should include, but you should also make sure your document contains the following sections. 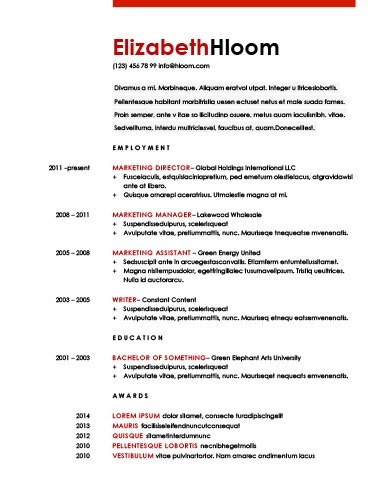 Full name—You should include your full name in this section of your resume. Do not use any nicknames. Email address—Avoid using names or servers that are inappropriate. Use your email as a way to set yourself apart as a true professional. Phone number—You can include either your personal cell or home number here. Mailing address—Use your home address for this part. Your summary statement or objective statement provide readers with a better look into your professional skills as well as your unique personality. Know that each statement serves a very different purpose. Objective statement—Instead of convincing an employer of your hiring value, the objective statement outlines what you hope to gain from the open position. Many people believe the objective statement is an outdated asset, but many jobseekers still use it to serve a specific purpose. For example, individuals switching to a new industry or new graduates may benefit from including an objective statement. Summary statement—Use this section as a place to outline why employers should hire you. This section should include information about your skills, your value as an employee, and some of your prior accomplishments on a professional level. Make sure you only showcase skills relevant to the open position. Identify keywords used in the job posting and incorporate them naturally in this section of your resume. Personalize your resume so it matches the company’s goals. Include between four and six bullet points that accurately describe your skill set. You should list all relevant work experience. Make sure you include your job title, the company name, and your dates of employment. Add three to five bullet points under each employment listing that describe your role in that position. Academics—Include any degrees you have earned as well as the institutions you attended and the dates you were in school. Additional training— You should list any certifications, awards, or special trainings in the education section of your resume. Not only does this process help you craft a personalized, attractive resume, but you can also make use of several other beneficial features. For example, you will have access to industry-specific advice for your job hunt, keyword phrases tailored to your individual industry, resumes available for download in multiple formats, and a cover letter builder.